Most nib holders can only accept one or the other, and the holders for mapping nibs tend to be thin, exacerbating strain during fine work when using a tool used almost exclusively for fine work. 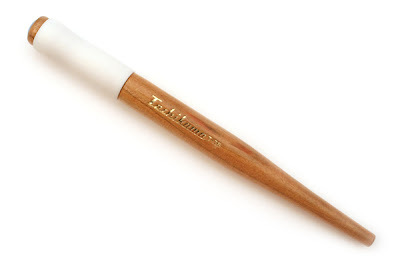 The Tachikawa's thick body reduces wrist strain, and the rubber grip makes it easy to hold. 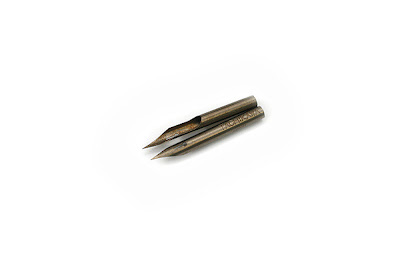 Nibs sit securely in it, but the plastic isn't as rigid as on a Speedball holder, so you don't have to jam nibs in or strain to pry them out again. Jetpens.com also has a fantastic selection of Japanese cartooning nibs, the best money can buy, unless you go antique hunting. (Fun fact about the two brands of Manga "G" nib: they're literally made across the street from one another. Both factories buy the same steel, mill it on the same machines, and put different brand stamps on them. They're otherwise identical, sort of like Olfa and NT blades, also made in Japan in neighboring factories using practically identical methods. NT's cutters are way better, though.) They also stock the sometimes hard to find Pentel Pocket brush refills at a not-bad-not-amazing price, and sell the brushpen itself at a pretty amazing price. The Tachikawa is well worth the six bucks, being comfortable and well made, and would be the only nib holder you ever had to buy in your life. Glad you're back, I was going through the inking tag archives just last week. 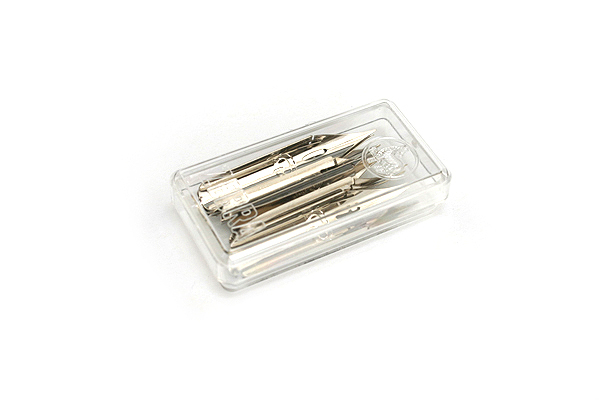 I also just ordered the Tachikawa model 40 holder which comes with a little cap to protect the nib. You might like this slightly creepy ink dipper/Ink well I made too. I thought about posting the model 40 instead, but .75 cents seemed steep for a cap I don't need. But, I'm glad you mentioned it, since others may disagree. And that thing is so rad I'm posting it. I just bought one of these to use with my Hunt 102 nibs, but the nibs keep sliding out. Hmm, if the one you got is loose, you could try a shim if you don't want the hassle of replacing it. @Dov: I have both the Tachikawa T-40 and T-25 and my Hunt 102's don't fit either. I was told by the people at my local art store where I bought it from that they only hold the Japanese circular/crowquill style nibs which are apparently just the tiniest big larger in diameter, so they fit snugly. I don't have any Japanese crowquill-style nibs to try, though, so I use the (crappy) speedball holder for the 102 and the Tachikawa holders for everything else. Hi, I discovered you'r blog a few days ago ad have since lost many hours or my life but all the better for it! I was wandering if anyone had tried bot this and the Kuretake Zig Cartoonist Ink Dip Pen Nib Holder. They look fairly similar and here in the uk Kuretake is a fair bit cheaper.